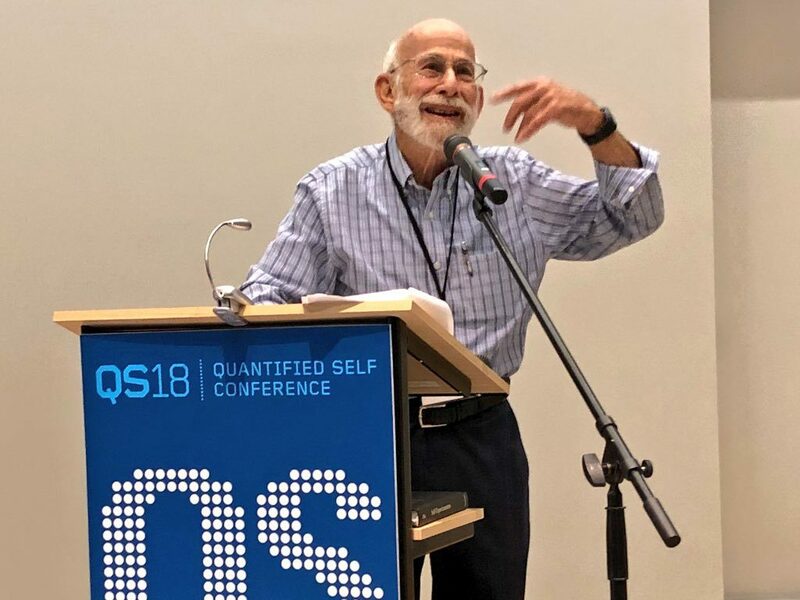 Please join us at QS18 for over 60 first person talks, tool demos, and expert-lead workshops about self-tracking, N-of-1, and everyday science. Our focus this year is on “QS&Learning.” Along with a special plenary talk and discussion by pioneering teacher, scholar and self-experimenter Alan Neuringer, we are bringing together Quantified Self experts from all over the world to share knowledge about what we are learning about ourselves with our own data, and how we can share this knowledge with our children, students, and peers. We’ll also have a special focus on open tools. One of the most powerful forces driving QS in the last two years has been the energy of DIY and open hardware makers. Many uses of data for learning don’t match well with the business models of commercial device companies, who tend to be greedy about data they collect, focused on mainstream use cases, and enthralled by the (potential) money available from traditional health care. Where does this leave individuals and communities who want to learn right now, using tools that match our needs? When you jon us at this year’s conference, you’ll meet the people creating the next generation of open tools, and using them to rapidly accelerate learning about health, sports, environment, and education – among many other topics. All the sessions listed on our QS18 Conference Program Page have been developed in collaboration with conference registrants. We’ll keep adding and changing up until the moment the conference starts. So please be in touch and tell us what you’re working on. You can share your ideas for sessions when you register. Since the day Aaron Yih was born, his grandfather documented his life in large picture collages he hung on the walls. Now that he’s 24 and his grandfather is 84, Aaron is using digital archiving and modern lifelogging tools to make a record of his grandfather’s extensive experiences. Alec Rogers wanted to see if there was a way to measure mindfulness after meditation. He’ll talk about this and other lessons he learned using data from a simple, open source meditation tracker that he wrote himself. Anna Franziska Michel will describe her use of her own running and cycling data as material for her startling and beautiful work in fashion design. Benjamin Best has decades of experience with self-collected data. He’ll be talking about the analytical and graphical methods he uses to see the effects of exercise, fasting, bathing, and other common activities on his blood test values. Eli Ricker tracks what he says he’s going to do and how often he does it. He’ll talk about he’s learned by connecting this data about his actions to his “life satisfaction” score. Esther Dyson is obsessed with time and circadian rhythms. Wanting to understand how she slept, she started with the Zeo long ago, but now uses the Oura, Whoop, and ResMed/Sleepscore simultaneously. But what happens when this data disagrees? Fitness and sleep trackers often contain built in assumptions about what’s optimal. Jacqueline Wheelwright describes how these data can be used for less common and more personal reasons. Jakob Eg Larsen predicted tracking headaches would be an easy task. But the very first question turned out to be less straightforward than it seemed: What counts as a headache? He’ll show his data and talk about his learning process over 2.5 years. Bay Area QS Show&Tell participants may remember Jessica Ching’s wonderful talk about training dogs to detect low blood sugars. This year she’ll show data about a different project: learning how exercise without glucose. You’d have to be a crazy to think you could get by on 2.5 hours of sleep. Jonathan Berent is that kind of crazy. He’ll show data from his polyphasic sleeping, the effects this had on his life, and what he still hopes to discover. Can Tracking Devices Detect And Help Me With Having Low Energy For An Extended Period? Justin Lawler has been dealing with low energy for the past 6 months. An avid self-tracker, he wanted to see how well the currently available tools capture this feeling and help him along a path of improvement. With a family history of stroke and early warning signs of hypertension, Fah Sathirapongsasuti recruited friend and fellow scientist, Karl Heilbron, for a two person self-study of how lifestyle influences their blood pressure. Kyrill Potapov tested theory that a fast can clear out the digestive tract and repopulate it differently. He shares his results from a 5 day fast, using InsideTracker panels to test his before and after states. Mad Ball is a carrier for a rare genetic disease which entailed risk of having a child with a serious intellectual disability. But how much risk? Through careful self-investigation based on consumer genomics, a reasonable estimate turned out to be possible. Madison Lukaczyk tracked her time to see the impact that interruptions had on her productivity; the data and analysis changed how she uses her communication tools. Maggie Delano used the Pomodoro method – 25 minutes of work followed by 5 minutes of anything else – to complete her Ph.D. Her 5 years of Pomodoro data challenges the assumption that working all the time is the key to accomplishing things. How can a sensor accurately detect whether your back is aligned? Mark Leavitt and Esther Gokhale have been working on this problem for years and they share how they used their data to improve their posture. Mikey Sklar ran three marathons in one day. He consumed liquids for hydration and metabolites but no calories. He’ll show how he used personal data to understand how this seemingly impossible feat could be accomplished. Thomas Christiansen’s allergies are aggravated when running during grass pollen season. For this extremely clever project he used a GoPro to document passing vegetation and a device to record his sneezes in order to pinpoint what plants activated his nose. Valerie Lanard keeps a detailed workout spreadsheet. In her “notes” section, she wrote out whatever excuse she had for not working out. Over time, she realized that this was a rich dataset on it’s own, detailing what’s happening when she’s not exercising. After giving birth, Whitney Erin Boesel learned that her cholesterol was very high. Given her family history, it seemed that an intervention was in order. But what if she did nothing and simply made observations?